After a disappointing start to the 2018/19 season, the Tah’s were eager to bounce back against the Sharks. Solid performances across the grades on day 1 have set us up for an exciting week ahead. 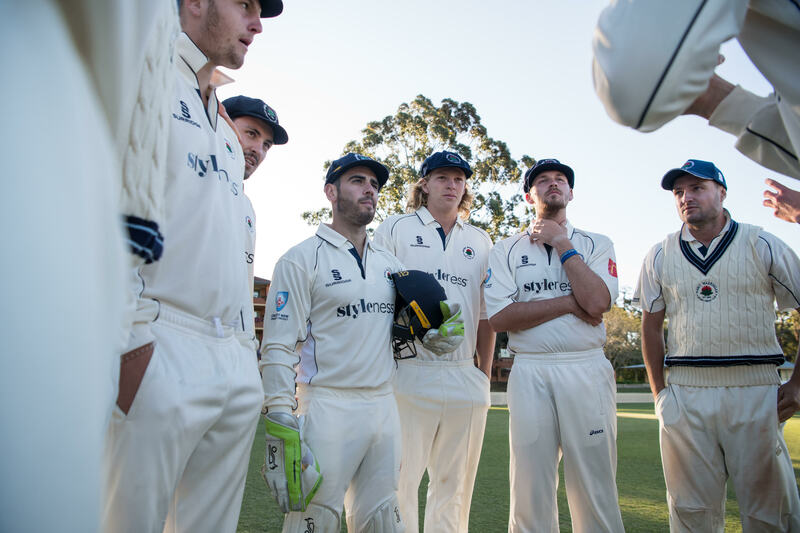 First Grade enjoyed the return of current NSW players Edwards, Green and our skipper Lenton. Jay and Greeny both provided great contributions for our top side posting an even 100 and 75 respectively. New comer Tim Doonan also chipped in nicely posting his first half century in just his second game, to help push the Tah’s total to 348. 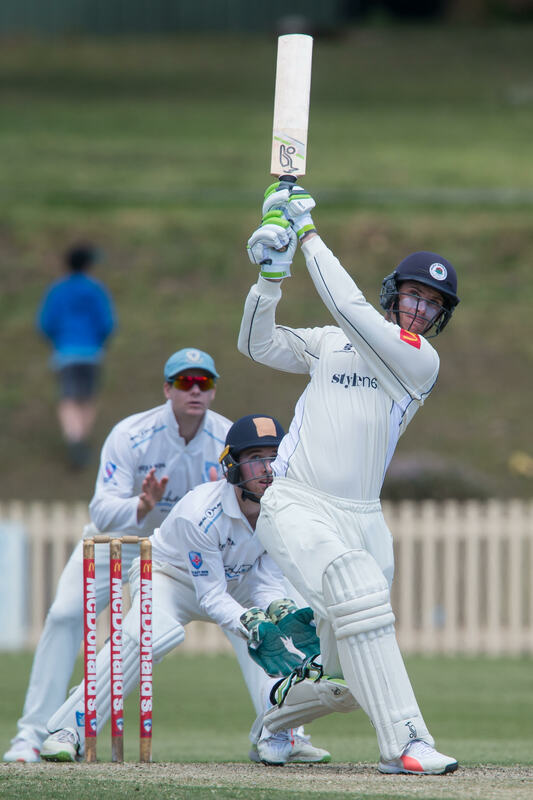 An exciting challenge lays ahead for First Grade this week with the likes of Steve Smith in the oppositions top order, and our own Aiden Bariol also featuring in Sutherland’s middle order. Second Grade toiled hard on a very strong batting wicket. After losing the toss, Sutherland wisely chose to bat first and posted a strong first innings total of 341. 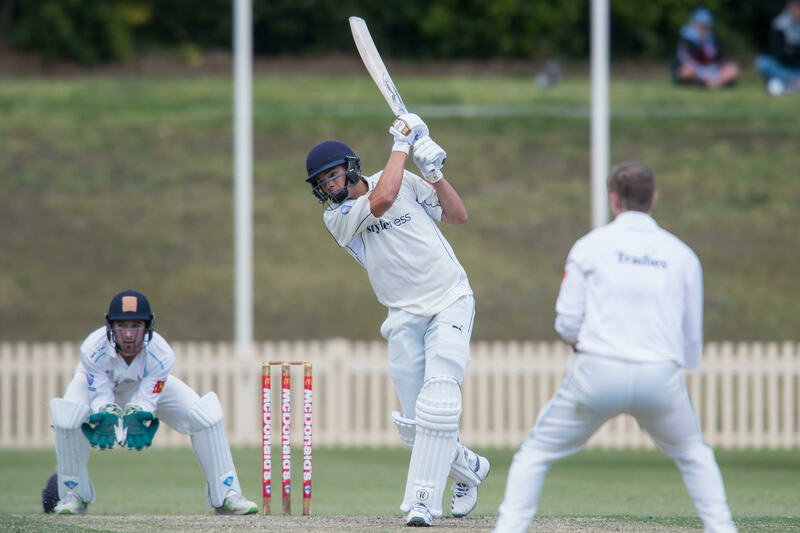 The Tah’s had opportunities to dismiss the visitors for a much lower total, however some dropped chances hurt the home side as the visitors continued to capitalise on the batter friendly conditions. Wickets were shared amongst the bowlers with Webber, Jamieson, Kaye and new comer Elliot Herd taking his first wickets for the club as well. Manly were given a tricky 6 over period before stumps and are 1/22 with Ritchie 18* and Kaye 3* the men at the crease. Third Grade also had a hard day’s work with Sutherland batting very patiently, only managing 198 in a full days play. Vumbaca (3/55) and Starr (2/33) led the 3’s attack as they battled hard all day. Some strong performances from our top order next week should see the main grade bring home the bacon. Fourth Grade crawled to 184 after to electing to bat first. Early wickets saw the home side in a bit of strife early in the day, however handy contributions from Bain (39), Wheeler (31) and Crombie (30) helped the Tah’s post a defendable total in 184. The visitors are currently 0/7 overnight. Fifth Grade had a day to forget. After being bundled out for just 73, Sutherland continued to dominate the days play, ending up at 1/129 at stumps. 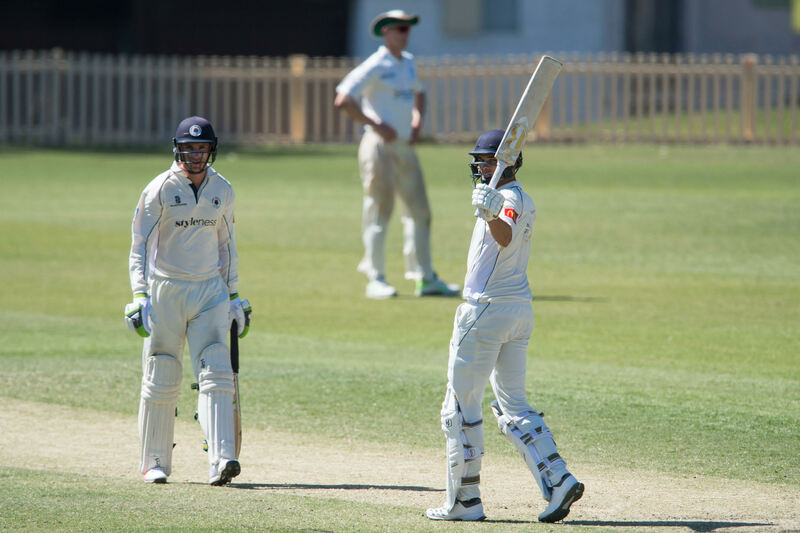 A big job lies ahead for the Fifth Grade side as they look to prevent an outright victory. Overall an improved weekend for the reigning Club Champions, however plenty of work still to be done to grab hold of our first points for the 2018/19 season. 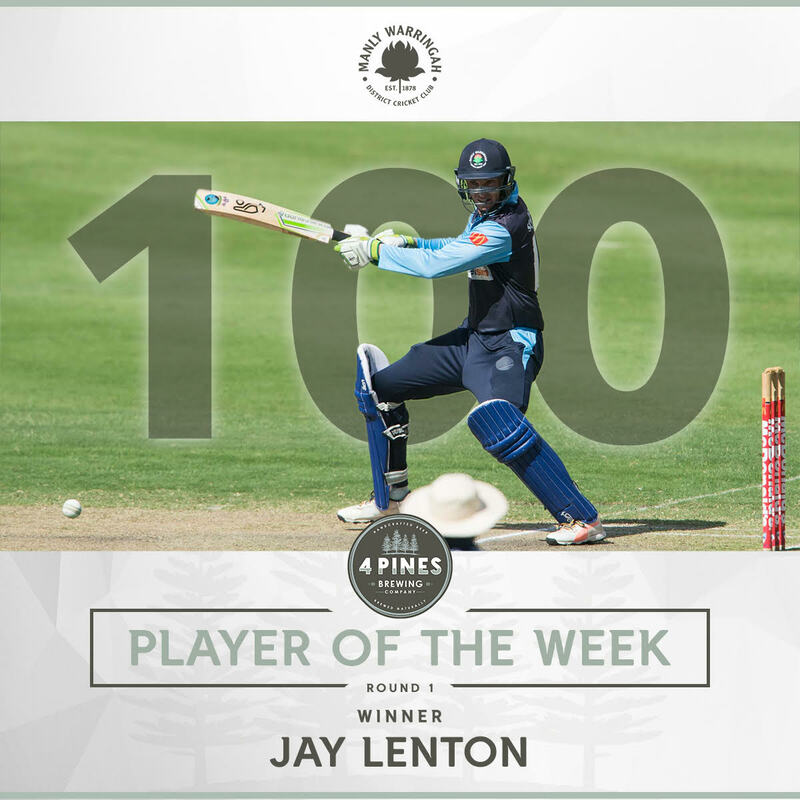 Jay Lenton is this week’s 4 Pines Player of the Week after his classy hundred against Sutherland over the weekend. Jay enjoyed his first game of the season for the Tah’s after being unavailable in Round 1 due to NSW duties. Jay led from the front and batted well with former skipper Chris Green to help the Tah’s to strong total in 348. This was Jay’s 8th hundred for the club and we are all sure its the first of many with the ‘C’ next to his name. he Manly boys arrived at Glenn Mcgrath Oval, to find themselves a very nice wicket. Jay Lenton, as he does, won the toss and decided to bat first. Weston and Edwards opened up the batting and started very strong. After being 0-34, both fell in quite quick succession Weston (11) and Edwards (26) to bring Lenton and Green to the crease. Once they started to get going there was no stopping them. They made batting look easy compiling a 183 3rd wicket partnership, setting the side up with what was going to be a solid total. Green (75) was dismissed before Lenton brought up his maiden ton for the season. Lenton (100) was dismissed quite soon after bringing up his milestone which lead to a small batting collapse. Doonan (62) held the back end of the innings together with a very classy maiden half-century for the Tah’s. The Manly boys were finally dismissed for 348 before having 2 quick overs at Sutherland ending the day on 0 for 0.
he mighty 2’s boys were at home again this weekend, looking to bounce back from a disappointing performance against Sydney Uni. Our first two day fixture for the season saw the return of our ever aggressive skipper Sammy Gainsford and the first home game for our beloved New Zealander in Elliot Herd. After losing what looked to be “a toss to lose” Sutherland went about their innings in a very aggressive manner. Our new looking attack struggled to maintain consistency in the first session of the day, with Sutherland batsmen finding the fence a little too often, helping them capitalise in tough bowling conditions. Counsell (1/45) removed their skipper who was starting to look dangerous whilst our recruit from ND’s Maxy Webber removed the other opener. With the score at 2-100, Gainsford put it to his men to be better in the middle session and the boys responded well. With a very strong southerly making things difficult at the Raglan Street end, Herd chipped away at a solid 20 over spell, picking up two crucial wickets as he bowled well in tandem with Webber (2-48) and Gainsford (1-31). 2-100 became 6-180 as the day started to look a little more positive. Unfortunately some complacency crept in after tea and we were punished for going through the motions just expecting things to happen for us. Sutherland’s latter order batted smartly and kept piling on the runs until they were eventually bowled out for a strong total in 341. With 6 overs remaining in the day, Sam Webber and Jack Ritchie (18*) strolled out and unfortunately Sammy was the victim to a suspect lbw decision. Jack and Tom finished the day off with the score at 1-22. Plenty of work to do next week as we look to get our first win of the 2018/19 season. picturesque Sutherland Oval awaited the 3rd grade side arrived ready for another day of cricket. Despite getting off a plane from the US at 630 in the morning, skipper Nick McLachlan (Nickos) was cheery and ready to lead the boys for a great day. With the touch draft complete, a very even match took place with Matt Brewster scoring the solitary try helping last weeks winners going 2/2 for the start of the season. Nickos lost the toss on what looked to be a very flat wicket and the boys were going to spend a day in the field. Taylor Beatty was more optimistic however and was confident the wicket was a bit soft and would do a bit early. Taylor ended up being correct with the wicket playing slow and Josh Wigney (Wiggers) taking an early pole. Wiggers and Nickos had a good opening partnership building pressure before Hamish Starr and Ryan Bishop Perret came into the attack. Both men took wickets and bowled with great pressure and consistency, as the Sutherland side scored very slowly and with almost no intent. This included a 15 over period where Sutherland scored only 15 which the spectators found exhilarating. Issy Vumbaca joined the attack and bowled well taking a wicket just before tea to have Sutherland 4/70 at the break. After tea the wicket had flattened out a bit more and Sutherland came out with a bit more intent. However Issy bowled well and got the breakthrough. Runs began to flow more easily for Sutherland despite very good bowling from the bowlers, with the seamers rotating from one end and Issy holding up the other. Nickos was very happy with his own bowling as he sent down what he described as ‘seeds’. The wickets began to fall periodically with the Sutherland batters putting up a good fight, with one batsmen hanging around and scoring well. His running on the other hand was not good as he bbqd his partner as Manly took the 8th Wicket, and the Runout batsmen had one of the all time blowups. The boys toiled to the end of the day, with even Zach Trewartha managing a few overs, where it had become clear the Nickos jetlag had truly kicked in. The Manly boys finished the innings with Hamish picking up the 9th and Jesse Moffat the 10th wicket as we bowled out Sutherland for 194. Congratulations to Jesse for taking his first wicket for the club. The boys are confident with out batting lineup next week and favourable batting conditions that if we are able to bat the day that we will win the game. ound 2 saw manly at home again up against sutherland and after the first rounds performance, we were looking for a better showing. Captain Gums won the toss and elected to bat on a decent looking pitch. Gums and Slothy opened the batting with Nick starting us off with a classy cover drive for 3 with Adam surviving a couple of close calls before the two of them were back in the sheds. Dom and Sam were soon at the crease before Sam was undone by an unlucky LBW. Dom put on a solid 31 before departing shortly after drinks. Joel and Jimmy put on a decent partnership which was broken when Joel snicked off for 19. This brought the yak to the crease although, Jimmy was bowled shortly after for 30. Yak made a handy 14 before getting bowled. Alex and Glyn were then brought to the crease and Glyn was quickly dismissed for 4. Alex and Reiley put on a much needed partnership before Alex was caught for an invaluable 39. Shortly after Reiley was caught for a well fort 11 all out for 184, with Brad “Bevan” Wilson left stranded destined for at least triple figures. Sutherland were set to bat for 4 overs and left the field 0-7.
he manly 5th Grade boys ventured out to Tonkin Park in hope of redeeming themselves after a heartbreaking loss last week. After winning the toss, manly elected to bat on what seemed to be a fairly decent wicket. However, after losing a wicket in the first over Sutherland were lively in the field, applying lots of pressure. After what seemed to be the only ‘partnership of the day’, Jake Osborne was dismissed, leaving manly at 2-26. From here, the day didn’t go as planned. Losing 2 more quick wickets, manly were at 4-29. But that wasn’t were it stopped, the wickets kept tumbling. 4-29 soon became 6-39 which the became 9-59. Josh Park and Evan D managed to scrape the Manly Boys to a hardly competitive total of 73. All out after 39.3 overs. Then Sutherland came out to bat. The two openers led the charge and flew past Manly’s 73 with ease. It was only until Sutherland were at 95 runs where Jake Osborne claimed the first wicket after a great catch from Aidan Bennett. But that was about the only highlight of the day for manly. The Sutherland batsmen proved that partnerships are key, something the manly boys will look to improve in their next innings. Despite Sutherland being 1-129 and leading by 56 runs, relatively defensive batting from the two in batsmen has meant manly are still in the game. All in all, a day to forget for manly 5th Grade, however the game isn’t over yet. The boys will be raring to go next week in hope to win in the second innings.